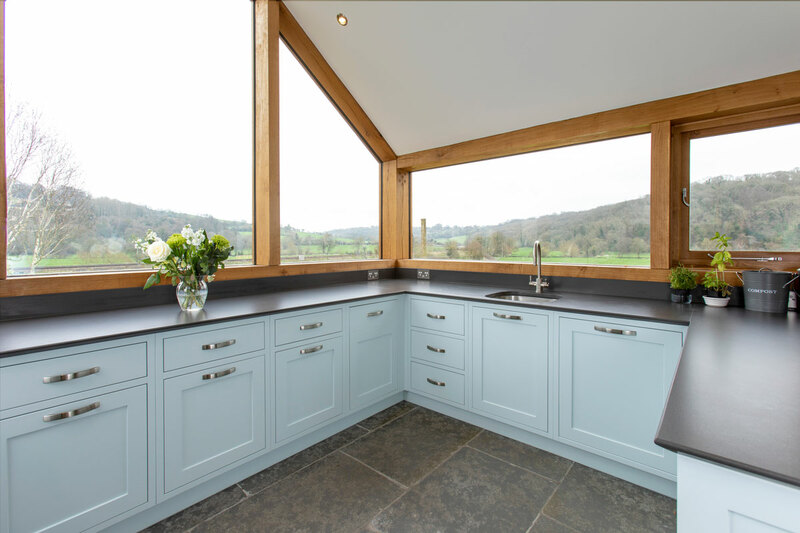 We designed and created this shaker kitchen for a lovely couple, who lived in a gorgeous home surrounded by countryside—not far from our workshop in Winsley. 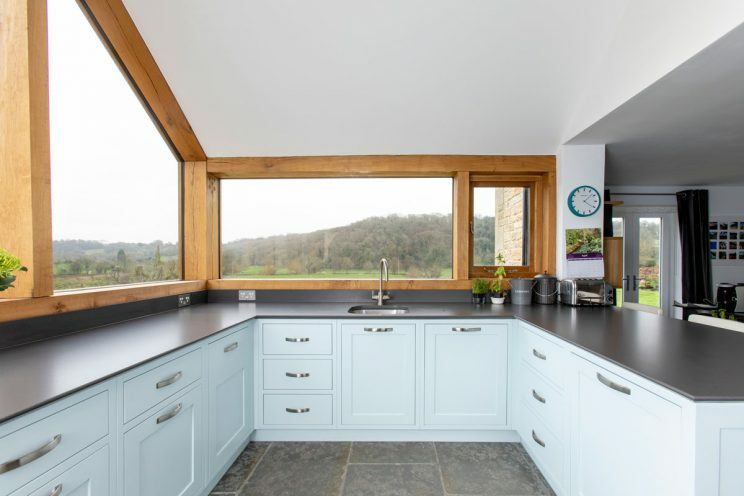 We were wowed by the plans for their extension which incorporated a gable end fresh sawn oak frame, under which would sit our kitchen. 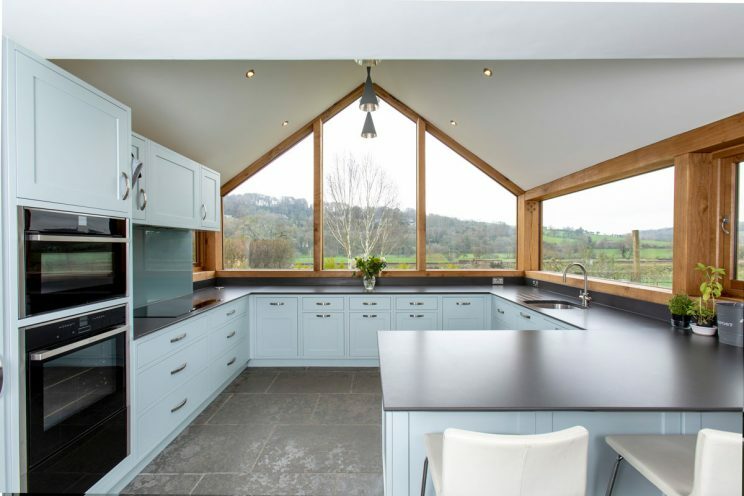 Our clients knew exactly what they wanted and we tweaked and played with the ideas to find a really practical and impressive kitchen. The entire kitchen was crafted from solid oak, as requested by the client, and we finished the cabinets with 30mm Marengo Suede Silestone countertops. 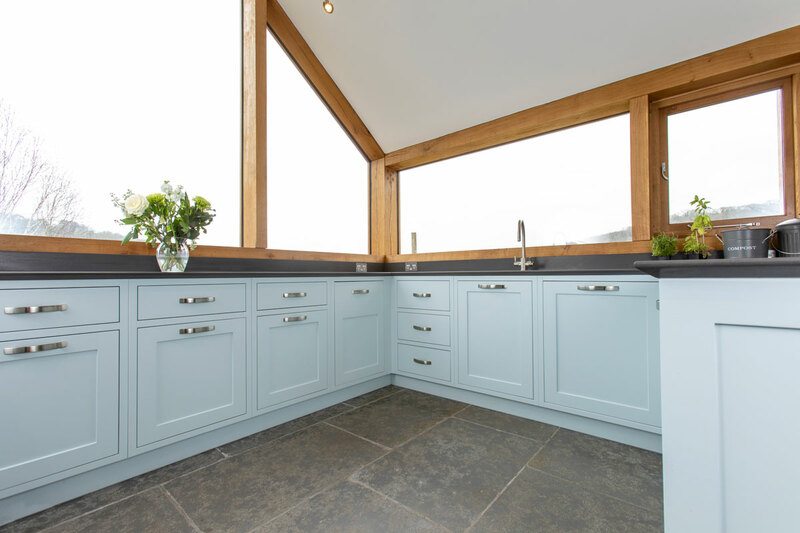 The dark stone worked beautifully against the light blue painted cabinets. Symmetry was extremely important to our clients so we offset the handles on the drawers under the main run to allow for this. We also crafted several bespoke storage solutions including a narrow pull out larder cabinet with lots of solid oak drawers. 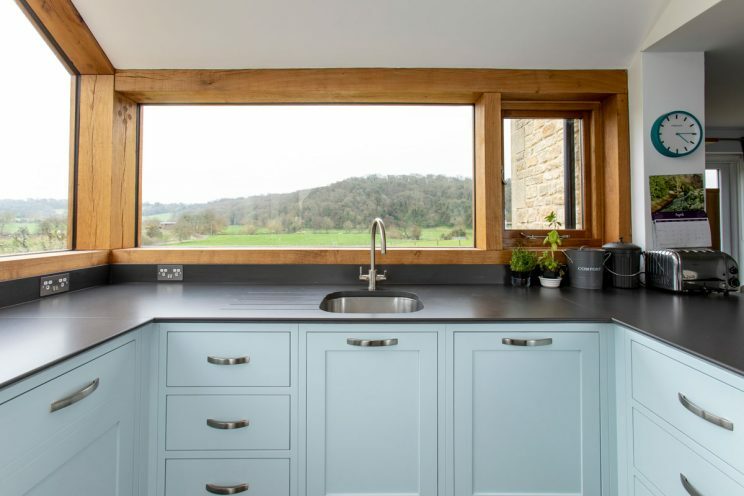 We also designed cabinets for the integrated NEFF cooker and integrated BOSCH dishwasher and fitted an under mounted Kohler sink with a Perrin & Rowe 3 in 1 filter tap in pewter finish. A credit to everyone involved and also many thanks to photographer Sean Ebsworth Barnes.